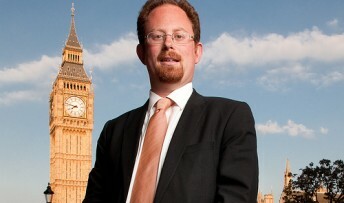 Cambridge MP Julian Huppert has welcomed measures in the Queen’s Speech to boost jobs, help homeowners and provide more support for those caring for elderly and disabled residents. He also welcomed the fact that the so-called “Snooper’s Charter” Communications Data Bill, which he fought to kill off, was not going ahead. And he said the government’s commitment to the rehabilitation of offenders builds on work by the Liberal Democrats to cut crime and give prisoners the opportunity to start new lives. Julian said: “There is a great deal of good work being done here. The measures announced today help to build a fairer society by making it cheaper for businesses to recruit staff through the Employment Allowance – £2,000 off Employers NI bills – and giving families more support to own their homes. These are measures which should help our economic recovery. They go with the work we have already done on income tax thresholds – lifting millions of poorly paid people out of income tax, and giving most people £700 back each year. “At last, we are also taking steps to recognise the army of carers across the country who look after elderly and disabled relatives by offering them more financial help. We owe a debt of gratitude to these people and they need our support. A simpler and higher state pension will help millions, and our social care reforms will stop people having to sell their homes to pay for care. Julian said he will be keeping a close watch on the new Immigration Bill to make sure that it does not prevent overseas visitors coming in who are needed to build our economy.